Mozilla's VIP of engineering has again likened Internet Explorer to malaria, insisting that although a lot of people have it, most of them wouldn't actively choose it. 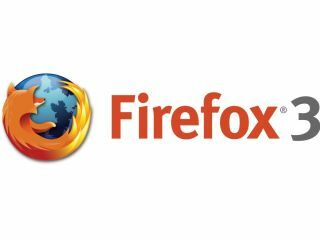 In a lengthy discussion about the forthcoming Firefox 3.5, Mike Shaver explains that he finds a resurgent browser division at Microsoft a compliment, and insists that all he wants is a fair fight – where browser choice is about suitability and choice and not defaults. "One big compliment is IE7 and having Microsoft get defensive about browsers," Shaver told TechRadar. "If you read the documentation about IE8 they are very defensive about it. They don't like the idea that people think that there is a better browser than theirs. "They didn't used to care at all – IE6 wasn't a competitive thing. Walt Mossberg, at one point, described IE as still the most popular browser and I said that was like describing malaria as popular in Africa," he jokes - not for the first time. "A lot of people have had malaria and a lot have got it but it doesn't mean that they have to choose it. Of course, in that case, Bill Gates is on the other side; he's trying to get rid of it, much to his credit." Shaver believes that educating people in choice is one of the key problems facing Mozilla in pushing beyond their current 23 per cent share of the market (and significantly more in Europe). "…ultimately people start to think 'what are the effects of my choice on my cellphone or on the web?' and they may well choose to use something other than Firefox, but we're not trying to lock that in; we want them to have a meaningful choice. We just want to be in a fair fight. "The market is a very important part of deciding what to build into your products. There's a big distortion right now because we can't distinguish between the people who have IE because its structurally there and those who chose it. This means we can't say 'wow, some of these things were a great idea and we can tell because people adopted IE8 when they added it'. "We just know they got IE8 when they got the pop up saying they should update their browser." Back at the launch of IE8, Microsoft told TechRadar that it would be necessary for anyone hoping for the lion's share of the browser market to support legacy users of older versions, but Shaver does not feel that this is a problem. "You do need to take care of your users, but a developer other than Microsoft would like to have a chance to have those legacy users so we could support them, right? "We don't know how people are really being supported – are they getting security updates to IE6, are they getting updates that will help them take advantage of the web properly? "They get some if they have the right corporate account and so forth, but we take care of users in terms of making it easy, and encouraging them to get on to the new browsers and having them get used to updating their browser. "The web is moving around beneath us."